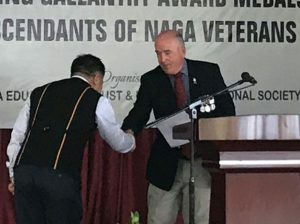 Dimapur, April 15 (EMN): The Nagaland Tribes Council (NTC) has once again asserted its call for effective implementation and enforcement of the Bengal Eastern Frontier Regulation (BEFR) Act and the Foreigners Act in order to protect indigenous people of Nagaland. The council issued a statement on Monday appreciating the state government for taking the right decision in setting up a committee on BEFR (ILP) with a view to bring the total area of the state of Nagaland under the BEFR Act. “Whereas now, the very onus lies with the government to take necessary decisions and implement the most crucial issue confronting the indigenous people of the state. What is required now is a political will to protect our identity, rights, culture and privileges. The NTC urges the state government to boldly implement the recommendations submitted by the committee without further delay,” read the statement.